The keto diet is definitely something that has become more and more popular over the years. It is helping many people to lose weight, and it is actually a diet that is not too difficult to maintain. Staying on a keto diet will still allow you to eat many delicious foods. As long as you have some good recipes on hand, it should never feel tough to keep your diet going strong. It is possible to get bored if you have been eating the same foods all of the time, though. You never want to eat the same thing day in and day out. Mixing up your meals can help you to stay motivated, and it will keep you happy. Looking up some instant pot keto recipes will definitely prove to be beneficial. 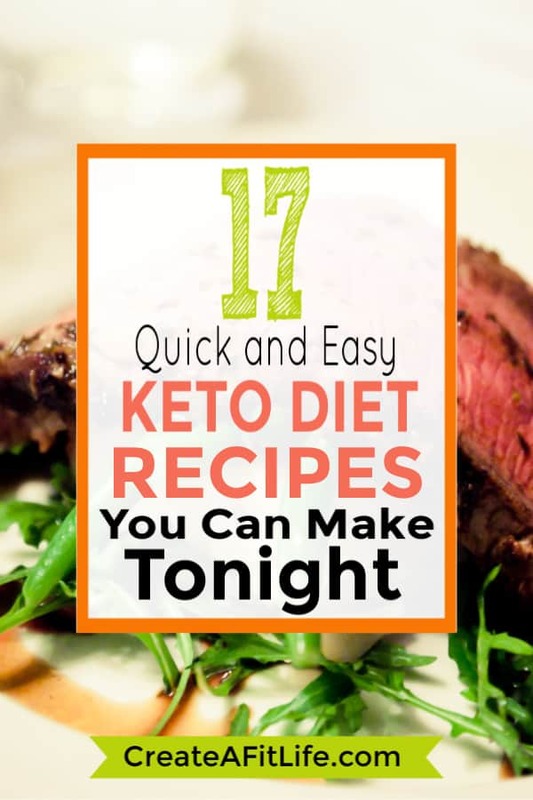 If you are not too confident in your cooking skills, then you will want to find some easy keto dinner recipes that you can implement. These recipes will be simple enough to cook for just about anyone. They won’t take up much of your time, and they will be undeniably delicious. Once you start making use of some of these handy recipes, you will have an even easier time sticking with the keto process. If you are one of the millions of people who absolutely adore Mexican cuisine, then you may be craving some tacos. 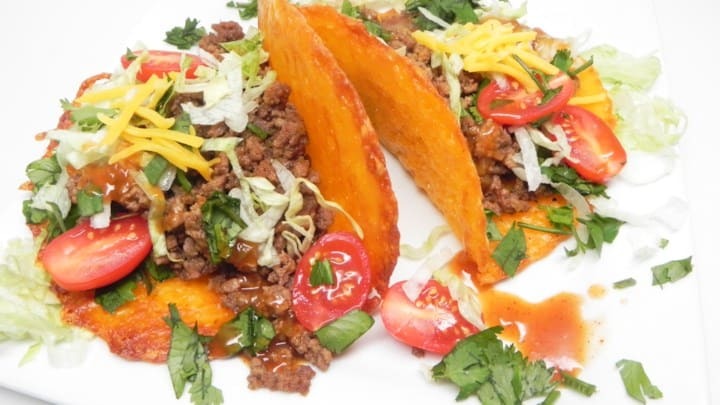 Even though you are going to need to avoid traditional tacos with normal shells or tortillas, you will be able to still enjoy that great taco taste. This recipe for easy keto beef tacos is going to blow you away with how delicious it is. This is a very simple recipe that only takes about twenty minutes of preparation time. You will need to preheat your oven to 350 degrees Fahrenheit. Grab yourself two baking sheets, and line them with parchment paper. Take some cheddar cheese, and spread it out into four different six-inch circles. Each of these cheddar cheese circles should be two inches apart. You bake these cheese circles in the preheated oven for between six to eight minutes. The goal is to brown the cheese a bit and melt it. Take it out of the oven when it is ready, and then let it cool for two or three minutes. After this, you can take a spatula and lift it up. 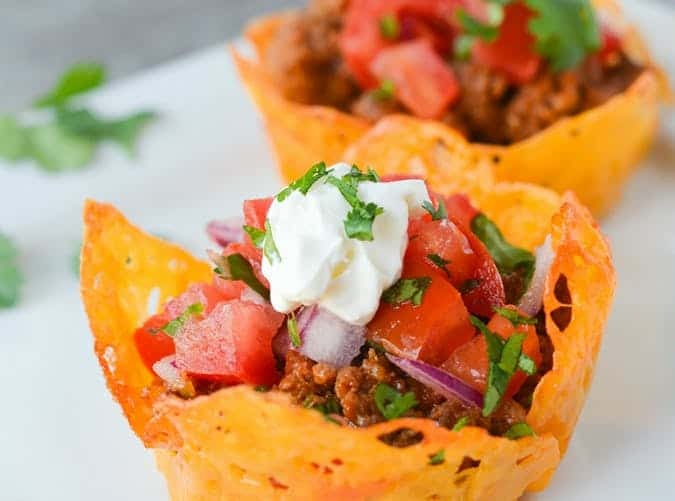 These are going to act as the keto taco shells, and you can use a wooden spoon to form them. Allow them to cool for ten minutes before proceeding. Now you simply need to cook your beef in a skillet and brown it. Remember to stir it and add taco seasoning, salt, and pepper once everything is brown. Cook it for another minute with the seasonings, and it will be ready. Put your beef inside of the cheese taco shells and top it with whatever you want. The recipe states to use avocado, lettuce, cheddar cheese, and tomatoes. Using anything that is keto-friendly will be acceptable, though. 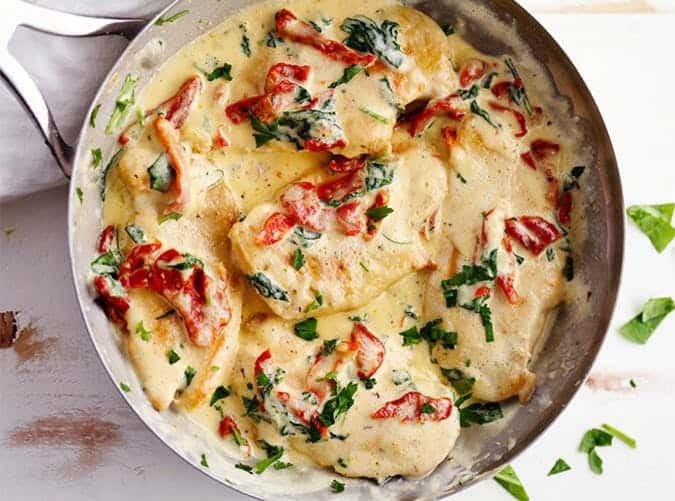 If you are looking for a restaurant quality meal that is to die for, you can’t go wrong with this creamy Tuscan garlic chicken…and what is even better is it only takes 30 minutes to prepare. Looking for a way to make it a complete meal…serve it over pasta. This rich meal makes a great Keto friendly meal for the whole family. If you are a low-carb fan, you should be well acquainted with cauliflower. This loaded cauliflower recipe brings you the ultimate in comfort food. 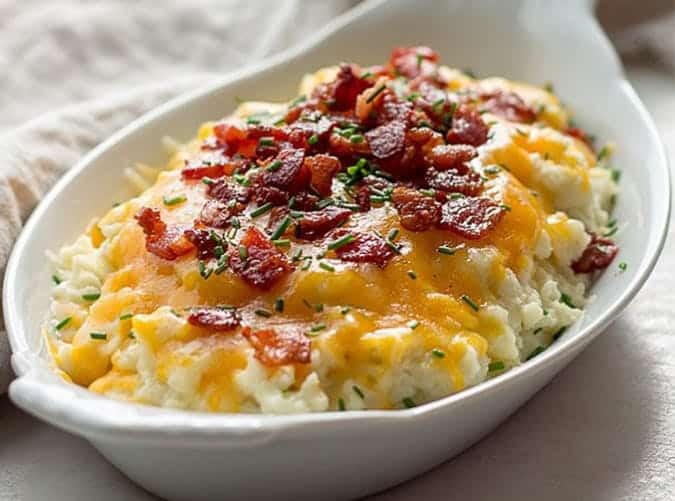 Bacon, sour cream, cheddar cheese and chives make this tasty dish come alive. Reminds me of a loaded baked potato without the carbohydrates. Trying to stay low-carb by avoiding pasta made with flour? Zucchini noodles will do the trick. 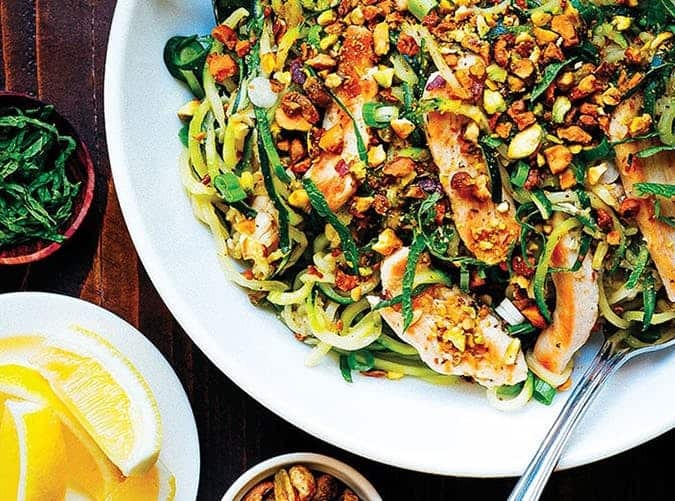 Create this light meal with Chicken, pistachios, oil and spices. Perhaps you have been missing the delectable taste of shawarma? 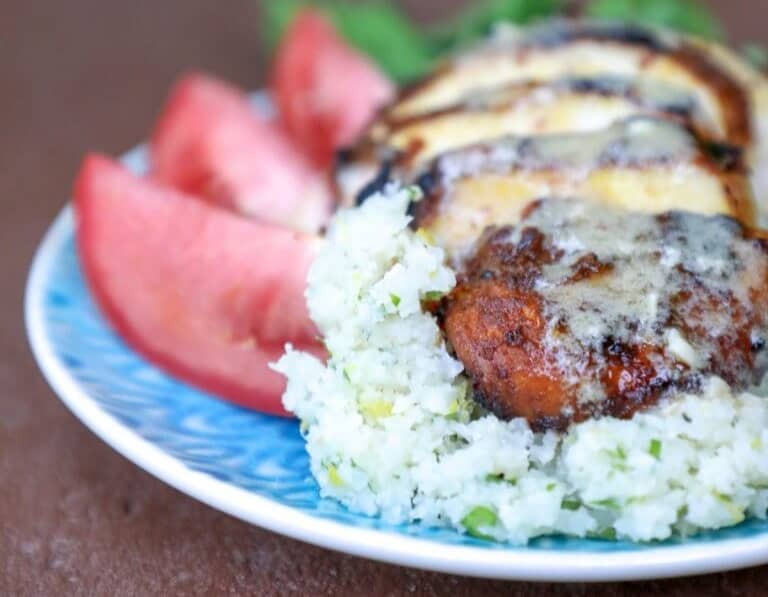 If so, then this amazing recipe for keto-friendly chicken shawarma will very much appeal to you. The creator of the recipe notes that it is not true shawarma due to not being cooked on a rotisserie. Keto versions of dishes are all about replicating the taste of a dish and making things easy, so you’re likely not to mind. To pull off this juicy dish, you are going to need to have access to quite a few ingredients. This may seem a bit complicated due to all of the ingredients that you have to combine, but it is actually a perfect example of easy keto recipes for beginners. As long as you make sure that you have all of the ingredients to pull this off, you’ll have a very simple time with the recipe. Main Ingredients: 2 pounds of boneless chicken breasts or thighs, 1 teaspoon of ground coriander, 1 teaspoon of ground cumin, 1 teaspoon of ground cardamom, 1 teaspoon of ground turmeric, 1/2 teaspoon of ground cayenne pepper, 1 tablespoon of smoked paprika, 1/2 teaspoon of garlic powder, 1/2 teaspoon of onion powder, 1.5 teaspoons of kosher salt, 1/4 teaspoon of ground black pepper, 2 tablespoons of lemon juice, 3 tablespoons of olive oil. Tahini Sauce Ingredients: 2 tablespoons of tahini paste, 2 tablespoons of olive oil, 3 tablespoons of water, 1 tablespoon of lemon juice, 1 minced garlic clove, 1/2 teaspoon of kosher salt. To start off, combine all of the marinade ingredients in one large bowl. Mix it up very thoroughly, and then add the chicken to the mix. Turn it around to make sure that it is properly coated. If you want this to turn out the best that it possibly can, you could let the chicken sit in this marinade for one night. A couple of hours should also suffice. Go ahead and preheat your grill to 500 degrees Fahrenheit. Cook the chicken during this step, and note that it should take about four minutes for each side. You will be cooking the chicken with direct heat. If you’re using a meat thermometer, then you will be cooking until the thermometer says that the internal temperature of the chicken is 160 degrees Fahrenheit. Once this has been accomplished, you will be taking the chicken off of the grill. Let it sit for about ten minutes. It will then be ready to be sliced and served. Now you just need to turn your attention to the tahini sauce. Thankfully, the tahini sauce preparation is very simple. You simply need to combine all of the tahini sauce ingredients and stir it up really well. Once you have done this, it will be ready to be served along with the chicken. This recipe should replicate the taste of traditional chicken shawarma quite nicely, even if you are missing the bread. This keto-friendly version is sure to please you. Salisbury steak…it reminds me of TV dinners when I was a kid. Feed your family with this healthy and hearty meal. Enjoy a Salisbury steak without breaking the budget. One of the things I love most about Keto is all the cheese you can eat. If you are looking for a fun low-carb recipe, try these tacos. Take your favorite cheese, combined with this awesome salsa and create a light and scrumptious meal in just a few minutes. There is nothing better than a tender, juicy steak. Looking for steak that is quick and simple? 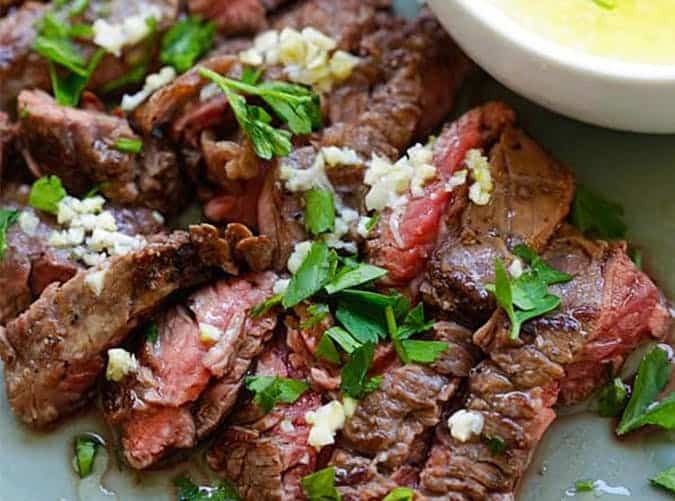 Try this delicious garlic butter Brazilian steak recipe. If you are a true meat lover, then you likely want to be able to enjoy the taste of a good old-fashioned hamburger as often as possible. Thankfully, hamburgers are just fine when you are on a keto diet, assuming you ditch the bun. If you love the taste of a good bacon cheeseburger, then you will likely be delighted to know that you can replicate this amazing flavor in casserole form. Food like this makes staying on a diet as simple as possible. 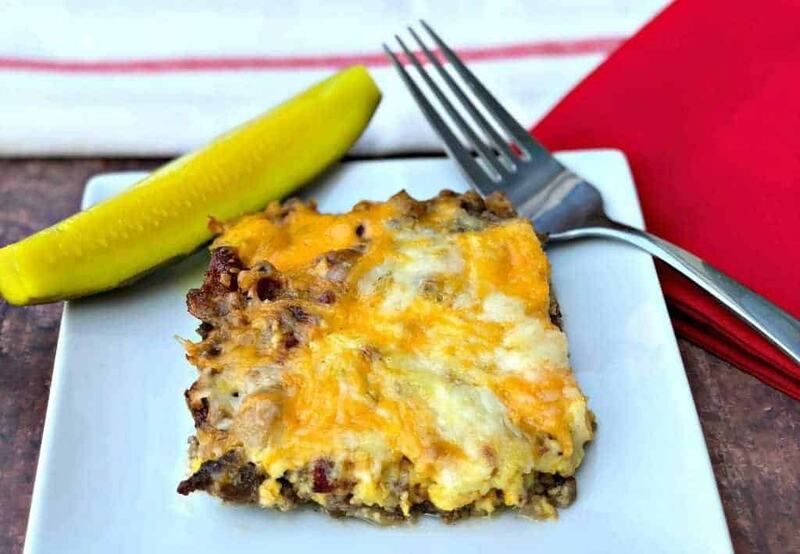 This recipe for easy keto bacon cheeseburger casserole is definitely going to become a favorite. It is deceptively simple to make and will be able to be thrown together in a hurry. If you are scrambling to figure out what to make for dinner, then this just might be your best bet. It is delicious, and you won’t have to take up too much of your time to get it done. Many of the ingredients that you will need for this dish will be simple things that you are likely to have around the house. It makes it so that you can throw a dish like this together when you don’t have other options around. The preparation time is only around fifteen minutes, and it will take about fifteen minutes to cook, too. Being able to make a scrumptious dish in only a half hour should work out nicely for you. Main ingredients: one pound of ground beef, 1 cup of chopped onions, 2 minced garlic cloves, 1 teaspoon of Worcestershire sauce, 2 ounces of cream cheese, 2 eggs, 1 tablespoon of mustard, 1/2 cup of heavy whipping cream, 1 cup of shredded cheddar cheese, 1 cup of shredded white cheddar cheese, 1 teaspoon of burger seasoning, salt and pepper to taste, 3 slices of bacon, 1 kosher pickle. To start this recipe off, you will want to preheat your oven to 350 degrees Fahrenheit. Put your beef in a skillet, and cook it over medium-high heat. Now add your onions, garlic, burger seasoning, and the salt and pepper. Take the time to break down the beef with your spatula while it is cooking. Next, you need to add in the Worcestershire sauce along with the cream cheese. Keep cooking until you have eliminated any of the pink color from your beef and until the cream cheese has melted completely. Remove the skillet from the heat, and move on to the next step. Grab a medium-sized bowl and combine your eggs, shredded cheddar, shredded white cheddar, mustard, and heavy cream. Get the casserole dish that you want to use to bake this. Spray it down with cooking spray or some type of oil. Now place your ground beef mixture into the casserole pan. Place your pickles and bacon throughout the dish, and then drizzle the liquid mixture on top. Place the remaining cheese over the top of that, and everything will be ready to bake. This should only take 15-20 minutes to finish up for you. Cool it before serving so that you can avoid burning your mouth. It is going to be a very tasty and easy dish to make. This could potentially please the whole family and will definitely keep you happy while on your diet. 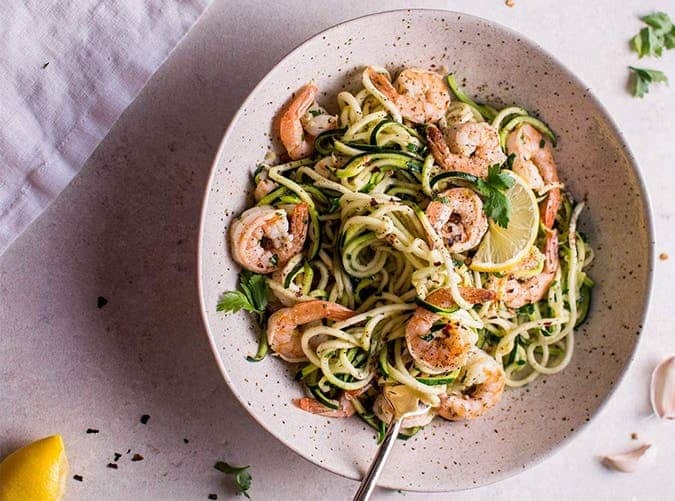 If you are a big fan of quick and tasty, you are going to enjoy garlic shrimp zoodles. This is the perfect low-carb meal for keto fans. Make this tasty meal with in just 15 minutes and a handful of simple ingredients. It is great to find a healthy meal that is both tasty and can be prepared quickly. 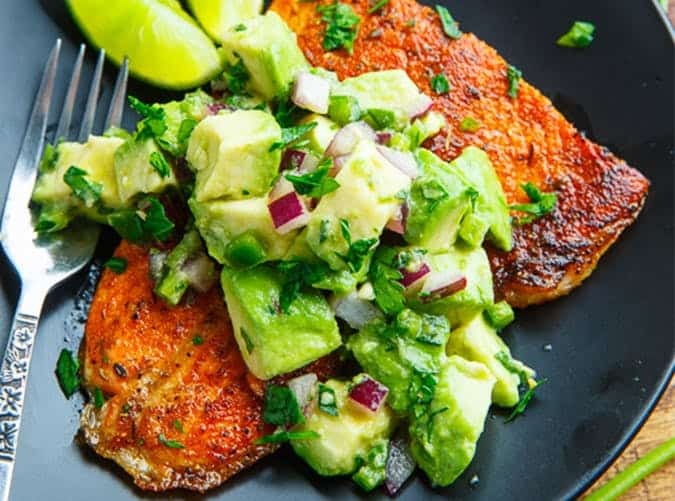 This blackened salmon meal with avocado salsa is packed full of flavor and nutrition. Enjoy the perfect dinner with this Cajun seasoned salmon. 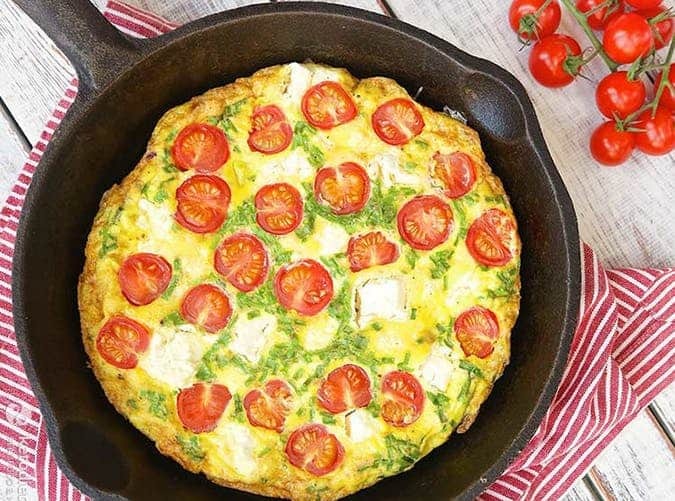 If you like light and tasty, you are going to enjoy this frittata with tomato and cheese. With all the ingredients of a great breakfast (veggies, meat and cheese), this meal will get your day off to a great start. 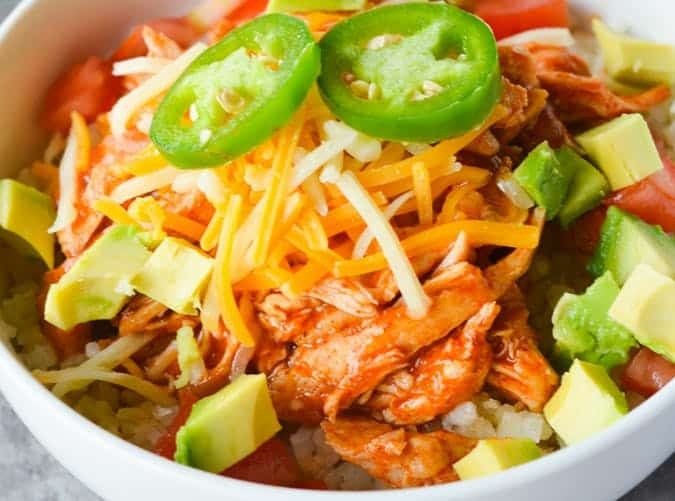 Anyone who has been on the keto diet for quite some time will tell you how much of a lifesaver instant pot recipes can be. Ip chicken is one of the staples for many people who try to stick to keto all the time. Instant pot chicken is going to be able to give you a good meal that only takes minimal effort. This is going to be good for the whole family, and it’s cost-effective, too. 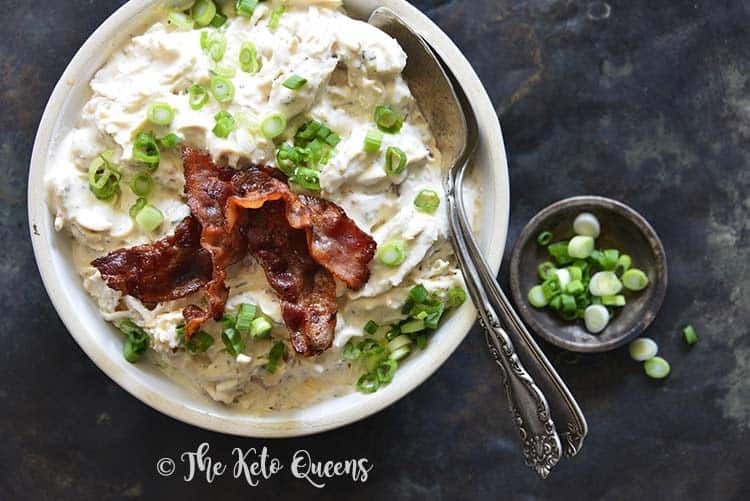 The great thing about this easy keto instant pot chicken is that it can be made using just about any chicken that you have at your house. If you are thawing out some frozen chicken from the store to use for this recipe, then it is going to turn out excellently. The ingredients are very simple, and you will really just be throwing them in your instant pot to make your dinner. The main ingredients for the recipe are chicken, cheddar cheese, cream cheese, and bacon. You will also want to add in garlic powder, onion powder, dried chives, crushed red pepper flakes, black pepper, dried dill, and salt for seasoning. Many people like to use ranch dressing in this recipe, and you can if you choose to do so. It will be healthier to avoid the ranch dressing, though, so it is really up to you to decide. Add your chicken and cream cheese together in the slow cooker. Use a whisk along with the other seasoning ingredients mentioned above. Once it is whisked properly, you just pour it on top of the chicken. Cook it on low for eight hours, and then come back to it. You can then shred the chicken before putting it back into the pot and stirring in some cheddar cheese. If you want to do so, you could also add some bacon to the mix. 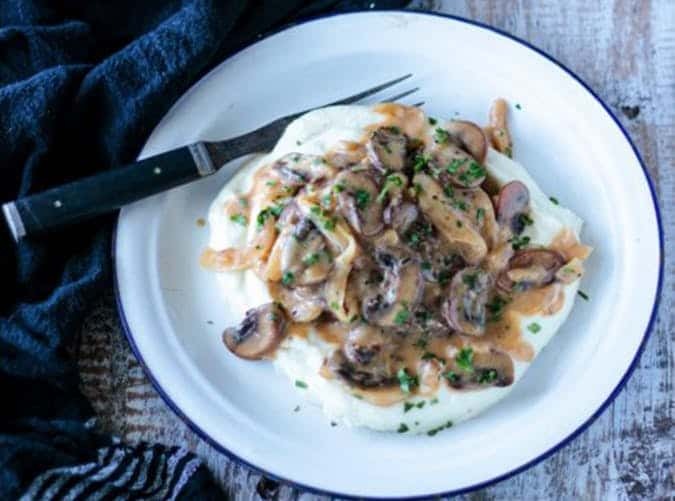 This versatile keto friendly chicken dish can be prepared on the stove top, in a slow cooker or an instant pot. If you enjoy the flare and flavor of Mexican, this is your meal and it only takes 30 minutes to fix. 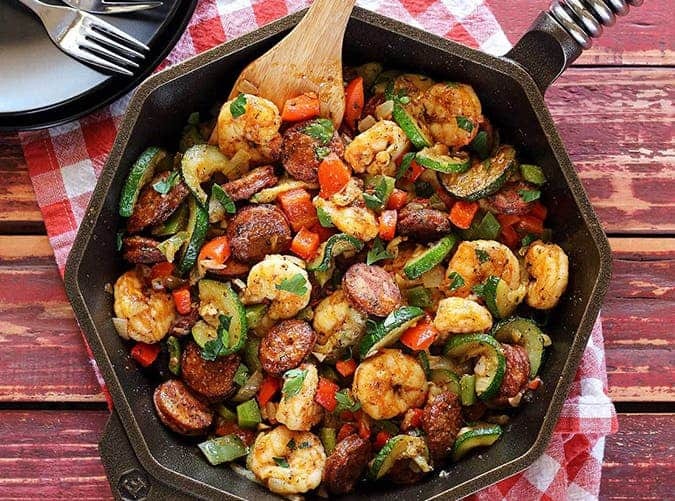 This dish kind of reminds me of gumbo with the shrimp and sausage. This meal is scrumptious and quick. Pick your protein, pick your vegetables, add seasonings and in 15 minutes you have dinner. 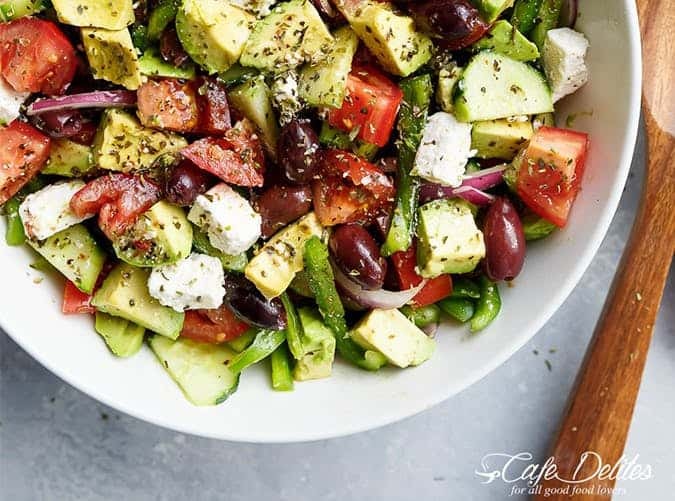 Cafe Delites has this great twist on a traditional Greek salad. It is quick and simple. Make a traditional Greek salad, add avocados and your favorite protein. Got left over chicken, lamb or salmon? Make a quick and tasty meal with this avocado Greek salad and dressing. Not being able to partake in some of your favorite desserts is likely going to be the toughest part of maintaining a keto diet. If you take the time to learn some scrumptious dessert recipes that are keto-friendly, then it will not be so tough at all. This recipe for chewy keto chocolate chip cookies will definitely satisfy your sweet tooth. This won’t take too many ingredients, either, so it will be an easy treat for you to make up when you’re feeling a craving. Easy keto recipes for beginners like this are very satisfying to pull off. 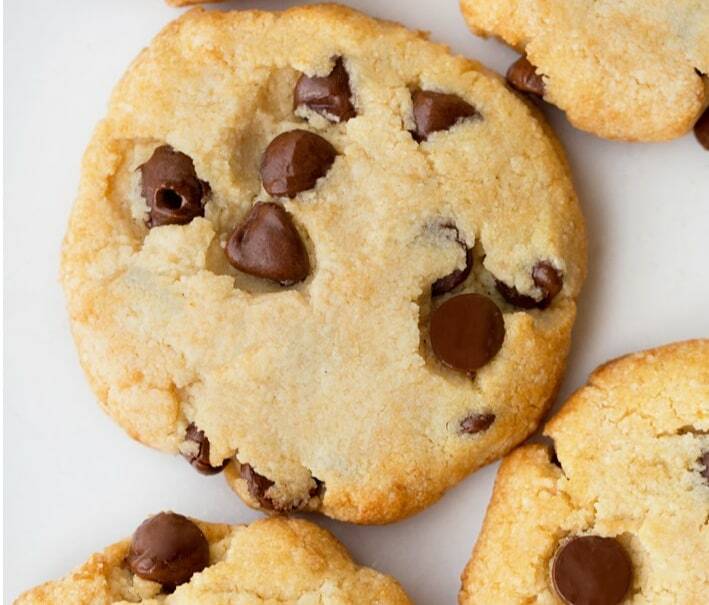 You will just need 1 cup of finely ground almond flour, between two and four tablespoons of sugar-free chocolate chips, two tablespoons of powdered sugar, 1/8 of a teaspoon of baking soda, 2 tablespoons of coconut oil, 1 teaspoon of pure vanilla extract, and 2-3 teaspoons of your chosen type of milk. Preheat your oven to 325 degrees Fahrenheit, and begin stirring your dry ingredients. The dry ingredients need to be stirred very thoroughly for the best results. Add the wet ingredients to form your dough. Make the cookies into your desired shapes, and put them on a cookie tray. Place the tray into the oven, and bake it for between ten and twelve minutes on the center rack. You’ll want to let the cookies cool before handling them, too, as they will be quite hot after getting out of the oven. There are days where it seems like our lives move at warp speed. There is no better time for a healthy one dish meal that can be prepared in 30 minutes or less…because life should be easy.